Home Animal Book 3, 2, 1, Go! Everybody loves a good foot race — especially when the racers are lions and tigers and bears (Oh, my!). 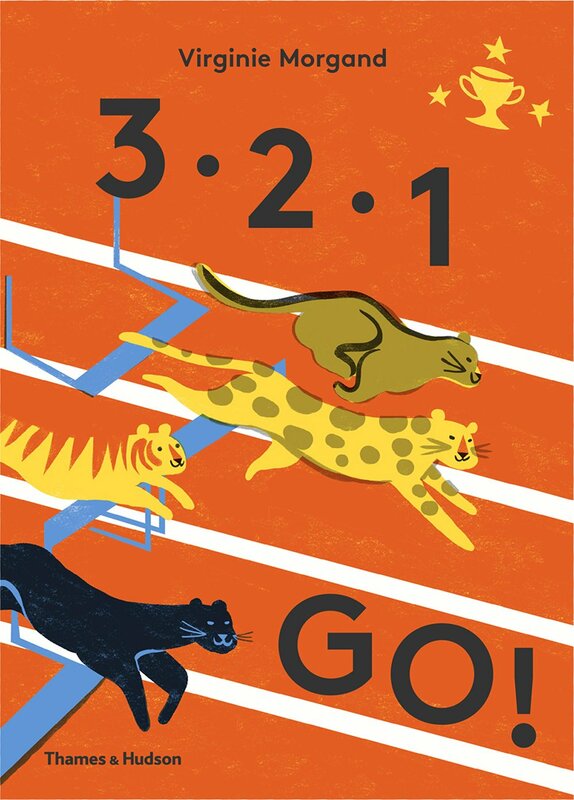 These are the racers in author Virginie Morgand’s newest “count to ten” picture book, called 3-2-1 Go!. The book opens with a furry bunny and a distinguished penguin gazing lovingly at a photo of a trophy — the 1 and only prize for winning the big race. Then an excited kitty rips off 2 blows of the whistle, and…they’re off! Tigers, leopards and panthers clear 3 hurdles and race across 4 white lanes, and a crazy kangaroo leaps over 5 crash mats — while a giraffe uses a measuring tape to demonstrate just how high 6 feet really is. The race proceeds with 7 gym rings, 8 monkeys, a smiling bear who lifts 9 weights, and a kitty that declares someone got a perfect score of 10! 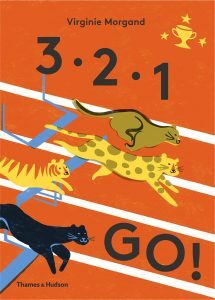 Young counters progress through this exciting little book as they spy rhinos, crocodiles, and even foxes wearing sweatbands as the race proceeds to the 20-minute stop time. 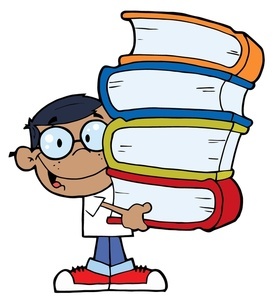 Then it’s back, back, backward (counting numbers, that is) until young readers discover which teams win the 3 silver medals, the 2 coveted gold medals, and finally, the 1 golden trophy! This is a fun and fast-paced little counting book that is filled to the rim with eager animal-racers who all want to win 1st prize. The entire scenario is reminiscent of “field day” at elementary schools where children participate in hilarious foot races and broad jumps to see who can win the most ribbons. use this book to help young children identify animals, to open a discussion about good-natured competition, and of course, to reinforce counting to 20 and back again! Next articleDr. E’s Super Stellar Solar System: Massive Mountains! Supersize Storms! Alien Atmospheres!